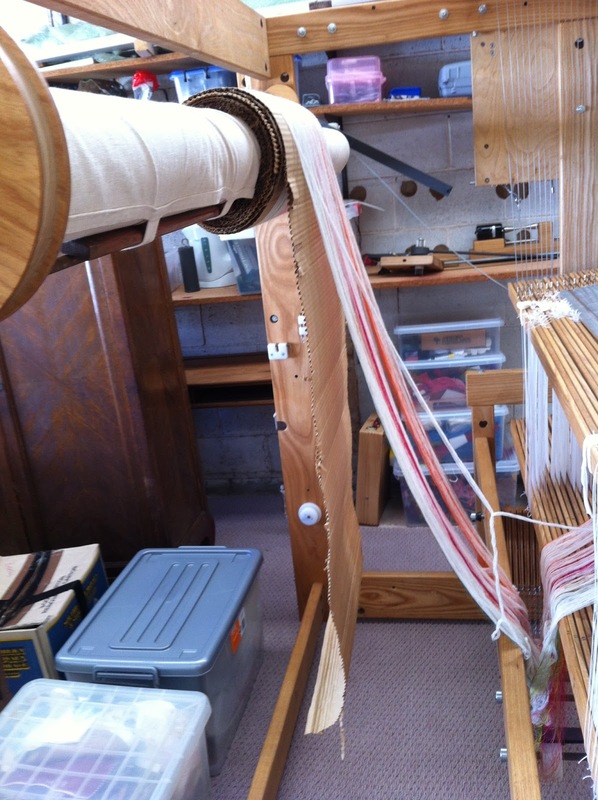 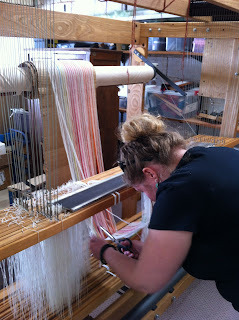 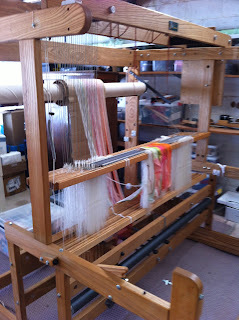 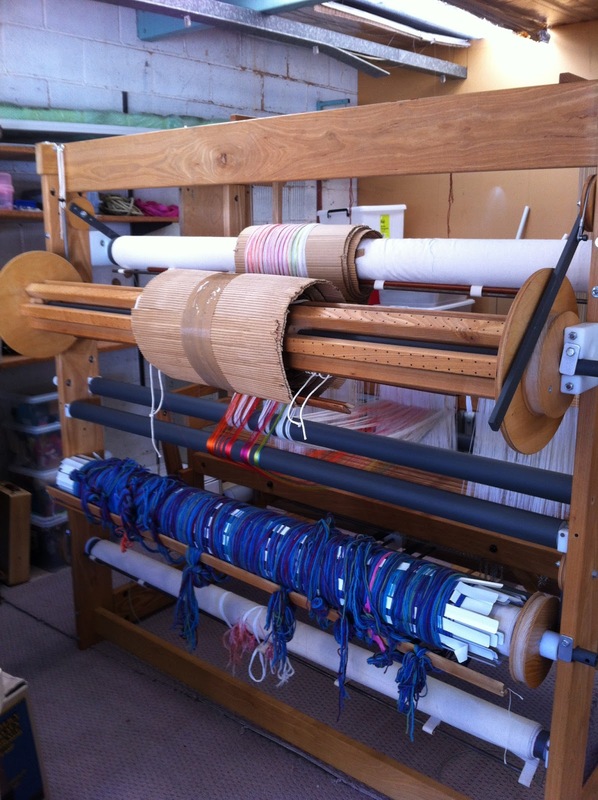 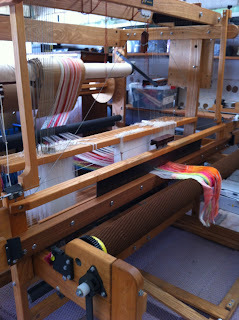 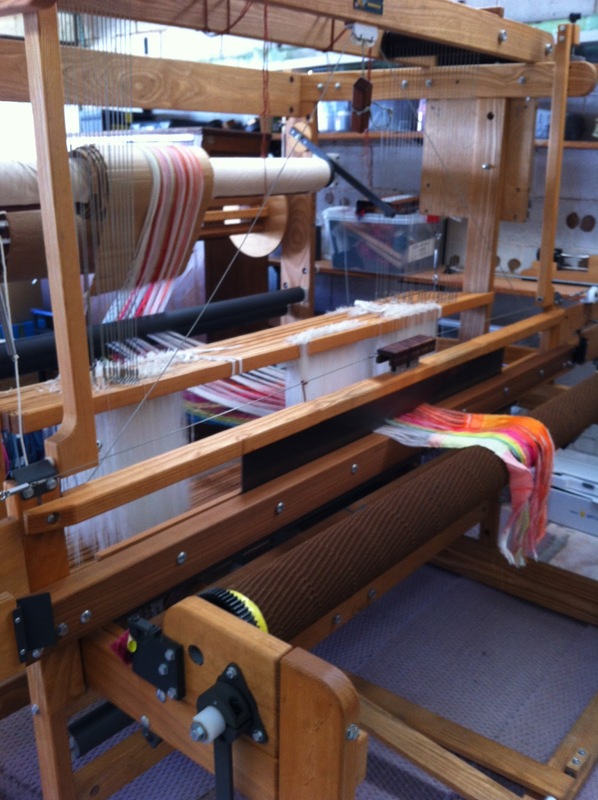 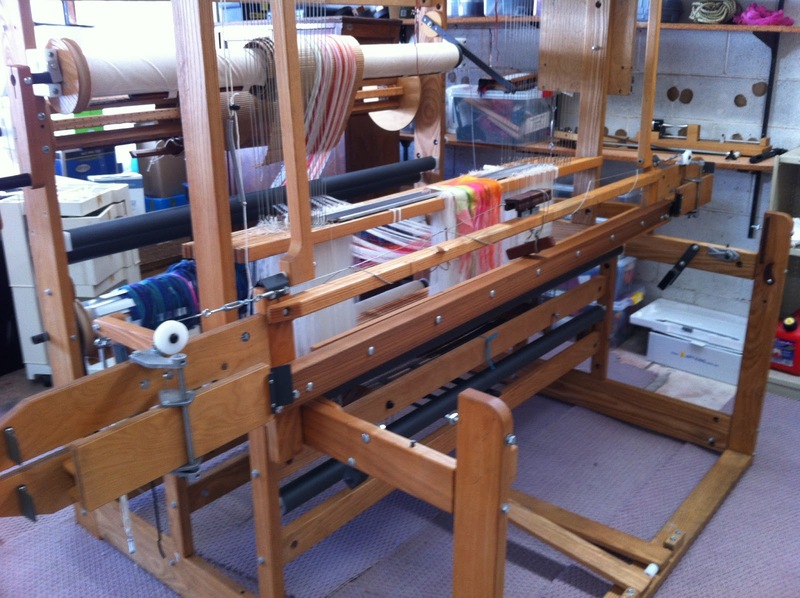 Yesterday we finished setting up Mel's loom. 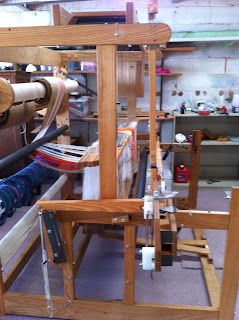 The loom had been moved frame intact, so it was a matter of putting all the "bits" back in and on. 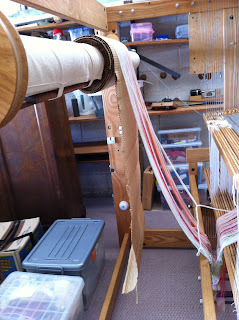 I was amazed at how little time it took up to do it. Although Mel has moved the loom a number of times and knows it well.